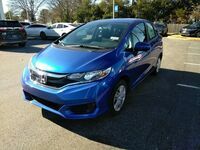 Drivers searching for a fun and sporty compact hatchback sedan should take a closer look at the newly-released 2019 Honda Fit from Townsend Honda in Tuscaloosa, AL. Despite the new Fit's compact size, the hatchback offers an impressive amount of cargo space and passenger volume thanks to the 60/40-split 2nd-Row Magic Seat®. Drivers can expect 95.7 cubic feet of maximum passenger volume. With the second row folded down, the Fit provides 52.7 cubic feet of space and 16.6 cubic feet of space when all seats are in use. The new 2019 Fit is available in four trim levels (LX, Sport, EX and EX-L) and is fitted with 130-hp,1.5-liter direct-injected 4-cylinder i-VTEC™ engine paired with a six-speed manual transmission (and an available Continuously-Variable Transmission). Each trim level features a unique set of standard and available features and options. All new Fit models include a rearview camera, LED taillights, Bluetooth® streaming audio connectivity and more! Keep reading to learn more about the 2019 Honda Fit at Townsend Honda! 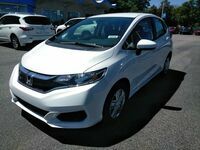 The new 2019 Honda Fit offers a comfort and versatile interior that features more than just impressive cargo space. 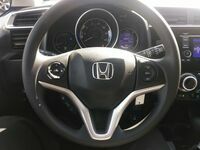 Some of the key interior features available on the interior of the new Honda Fit include Android Auto™ and Apple CarPlay™ compatibility, a power moonroof and the Honda Sensing® suite of safety technology, which includes Collision Mitigation Braking System™ with Forward Collision Warning, new Auto High Beam Headlights and more! In addition to the Honda Sensing® features, the Fit offers a number of additional high-tech features, including a Honda Satellite-Linked Navigation System™ with Voice Recognition, Honda LaneWatch™ technology, 7-inch touchscreen display and so much more! Schedule a test drive of a new 2019 Honda Fit at Townsend Honda of Tuscaloosa, AL today! * MSRP excluding tax, license, registration, $890 destination charge and options. Dealer prices may vary. ** Based on 2019 EPA mileage ratings. Use for comparison purposes only. Your actual mileage will vary depending on how you drive and maintain your vehicle, driving conditions and other factors.